Tech Tip: Just What is a Fuel Injector and What Does It Do? The ECM (engine control module) adjusts the amount of fuel injected into the engine cylinder to meet a variety of operating conditions. Simply, the fuel injector’s purpose is to deliver and inject the proper amount of fuel at the proper time. The injector atomizes and directs fuel into the intake manifold. Each injector (there is one per cylinder) is installed with an insulator and seal at the manifold end to insulate the injector from heat and to prevent atmospheric pressure from leaking into the manifold. An o-ring between the delivery pipe and the injector prevents external fuel leakage. Different engines require different injectors. Injectors are designed to pass a specified amount of fuel when opened. The number of orifice holes at the delivery tip of the injector varies; therefore, it is critical that the proper injector is replaced when the time to replace one is necessary. 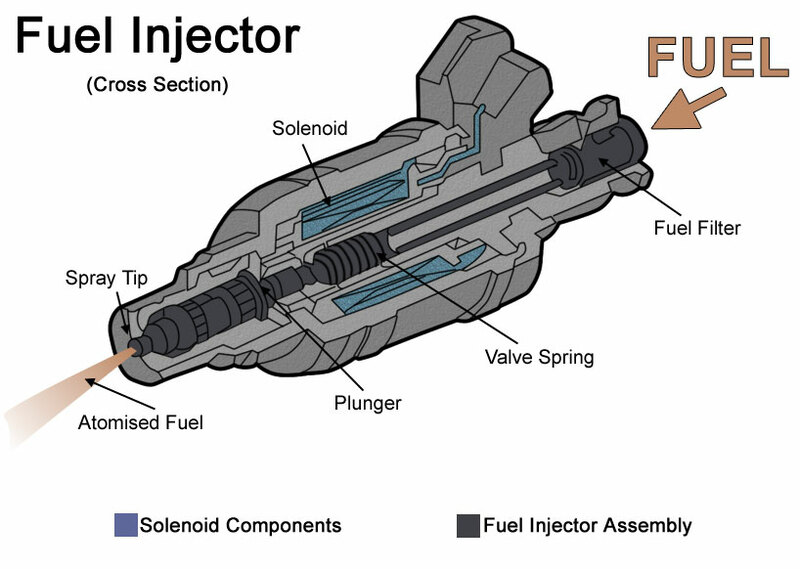 Diagram of fuel injector courtesy Wikimedia Commons. Internally, the injector features a solenoid and needle valve. The fuel injector circuit is a ground switched circuit. In order to activate (turn on) the injector to deliver fuel, the ECM turns on a transistor that completes a path to ground. The magnetic field pulls the needle valve up, overcoming spring pressure. This allows pressurized fuel to flow from the injector tip. When the ECM turns the circuit off, internal spring pressure will force the needle valve onto its seat, shutting off fuel flow. Technically there is more to the story of fuel injection. Should you have more questions we can get them answered for you. If contaminates have entered the injector, the valve may not seal completely, resulting in a leaking injector that will dribble fuel into the cylinder. When an injector leaks a repair needs to be made. Fuel cannot leak. Injectors also can get clogged. Remember the holes at the tip of the injector? These holes can get restricted from fuel contaminates, etc., that get into the fuel system. When this happens the right amount of fuel is not getting delivered to operated the engine correctly. The fuel injectors need to be cleaned. 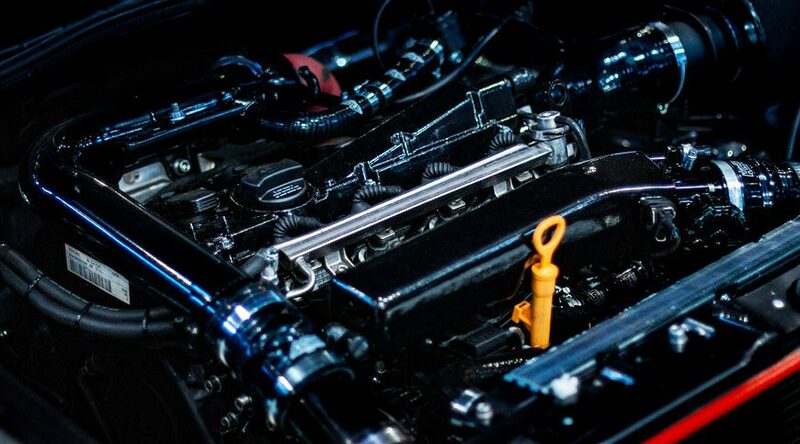 Give us a call and we will review the fuel injection system cleaning procedure with you. Tech Tip: Is It Time to Get Transmission and Differential Fluids Tested? © 2018 Nippon Motor Service. All rights reserved.